iPage Plans – What Packages do iPage offer? iPage Performance – How good is the performance of iPage? iPage Support – What support can you expect from iPage? iPage is entry level budget web hosting. iPage is large US based Web Hosting Company focusing on affordable web hosting packages. iPage was founded back in 1998 by Thomas Gorny in Burlington, MA, USA. iPage is now established into major Web Hosting Brand and was recently bought by Major Web Hosting corporation Endurance International Group EIG. (which is also the owner of other big web hosting providers like BlueHost, Hostagor & JustHost). iPage Shared hosting is great for startups with limit traffic, however, you may wish to upgrade your performance in the future. When you need more web hosting performance, bandwidth, resources, you can easily upgrade to one of iPage’s VPS, Cloud or Dedicated packages. Just pay the upgrade fee, and iPage will upgrade your account. For a budget web hosting, iPage does include some quality web hosting feature suites. Unlike other web hosts that include the popular cPanel Tool, iPage offers a custom control panel called vDeck. iPage offers a control panel called vDesk. iPage has 2 Datacenters in the USA ONLY. iPage 2 data center locations use multiple fast gigabit and fiberoptic connections. iPage should offer international data centers in Europe and Asia. There are times the hosting goes down and you need someone to be there to explain why this happened. You need someone to ensure that someone is working to fix the server. Even when you are in trouble and have accidentally deleted this critical file, you need someone! iPage offers top tier support options for their customers. comping of 24/7 email, phone and chat lines. In addition, the support option also offers rigorous Staff QA testing, as well as a vast amount of online tutorials and help files to solve your problems. After testing iPage, we have identified the most important Pros and Cons. To attact visitors to your website, iPage will include FREE $200 marketing credits for Google, Bing & Facebook Advertising. If you are a iPage customer, please leave a review below. 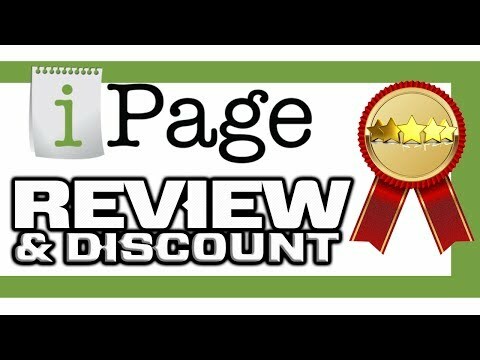 We will collect all iPage reviews (pros and cons) to provide a transparent outlook. As an upcoming developer. I find it hard to eke out money from my meagre income to pay for backups and website transfers. Apparently, that is a big turn off for anyone who has a tight budget. Ipage with bluehost & hostgator don’t offer free website transfer. We believe all major web host SHOULD have free website transfers. Hello Harpreet – With a free website transfer, will the transfer include all my website files, photos, databases etc? – will the website will be 100% the same? Yes all website files will be transferred. As there maybe small differences, Best to keep the old hosting account active until the new one is working ok.
After protecting my domain name for ten years with other companies,I tried to register my domain with ipage. I did this on the phone with there support person. I I provided them what they asked for and have emails to prove it. I was told it was done. I was billed for it in 2017 and 2018 but it was never done and my domain is now with a reseller. Ipage and parent company Enterprise refuse to take any responsibility. They tried to cover it up by “losing” the recording of the call and refunding my payments. That doesn’t pay the $688 the reseller wants. I am sorry to hear your situation with iPage. What was the domain name? I can’t believe ipage took payment but didnt register / renew the domain. Have you tried reaching out to ipage management or compliant services? iPage is owned by Endurance https://www.endurance.com/ – have you tried reaching out to them?